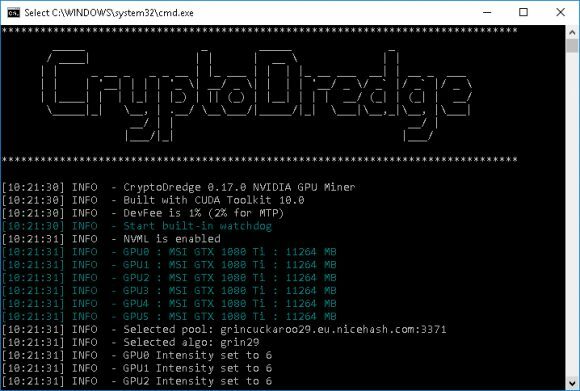 The latest CryptoDredge Nvidia GPU miner version 0.17.0 comes with added support for a few new algorithms such as CryptoNightTurtle and CryptonightGPU as well as the Cuckaroo29 algorithm used by Grin and CuckooCycle algorithm for Aeternity. 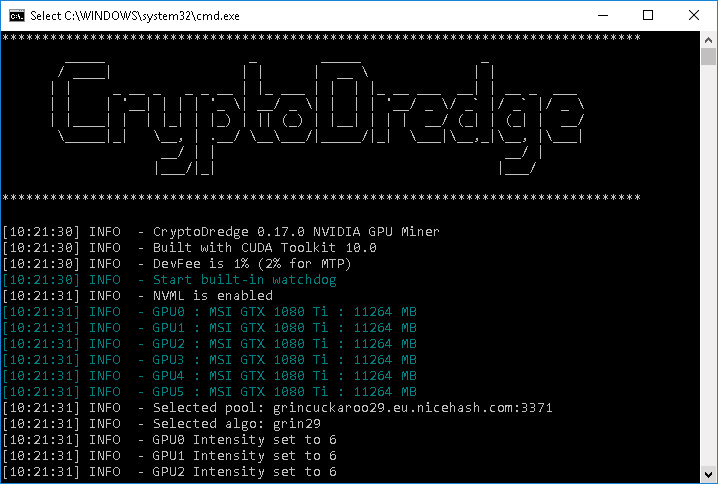 Since Grin is getting a lot of attention lately, we should let you know that CryptoDredge does not yet seem to support Cuckaroo29 on NiceHash and also that performance wise it is slower than others like Bminer and GMiner that are currently the top performing Grin miners on Nvdia GPUs. Aethernity performance using the CuckooCycle algorithm is also not the best compared to the other alternative solutions already available, so these two algos can use some optimizations. 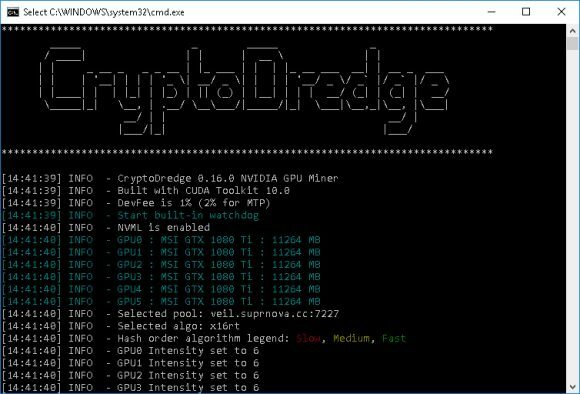 The latest CryptoDredge Nvidia GPU miner version 0.16.0 comes with added support for the new X16RT algorithm being used by the recently launched Veil project that introduced the new algo. 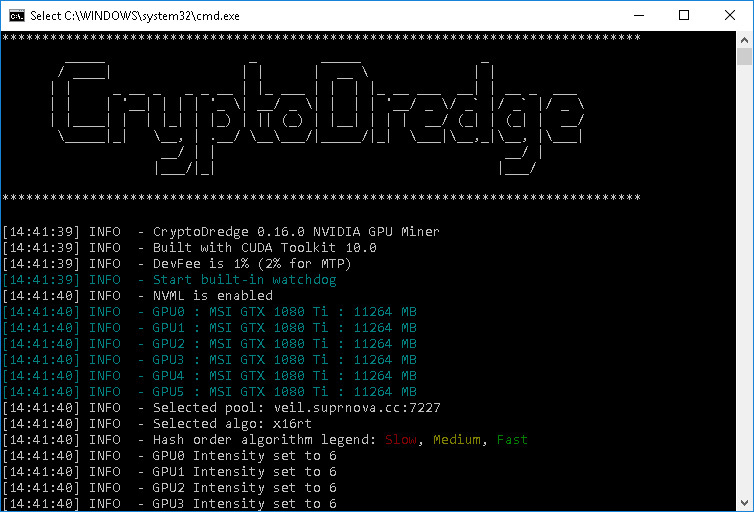 There is also support for the new Lyra2zz algorithm that is being used by the LAPO project, if you are interested in checking it out as well. 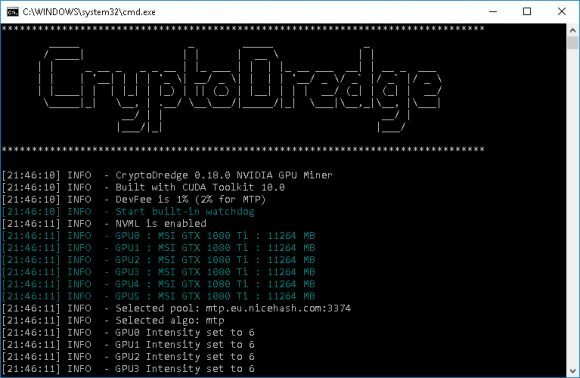 The latest version also stabilizes the MTP algorithm hat is being used by the Zcoin project. 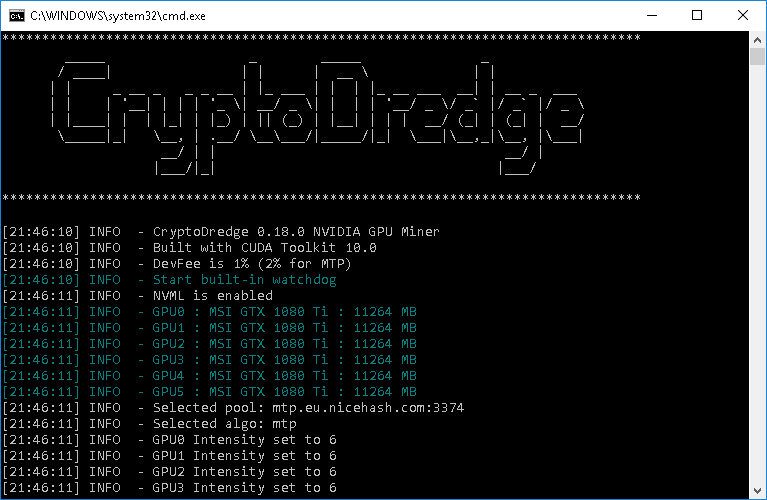 If you are mining XZC or Veil with other miner at the moment you might want to try the latest CryptoDredge release as it is well performing and stable, working better than other alternates, not to mention it is the fastest one for the X16RT algorithm at the moment.